Pipa the Latest: journal of a messy crafter: Ramen! 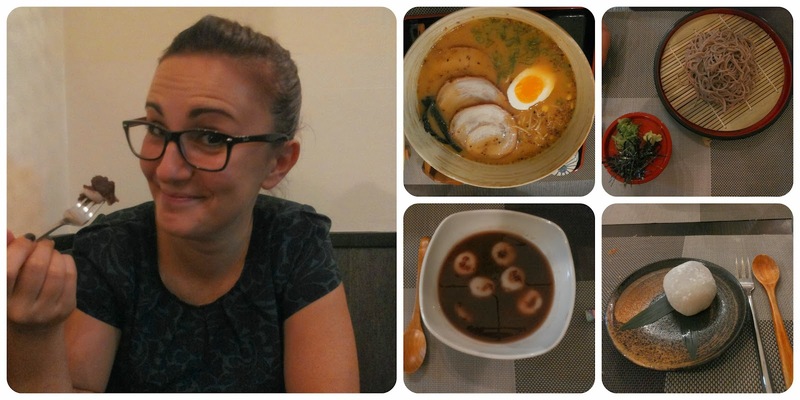 A couple of days ago I finally found out a place in Milan with an amazing ramen. It was my first ever. 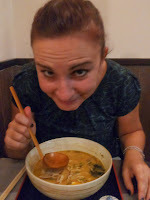 I was expecting a different taste but was really happy anyway. Cold soba noodles, daifuku and another sweet made with beans and rice. They have a weird texture! After this rich dinner and another wedding yesterday, I am ready to go back to diet and gym and running.